Richard and I have launched our 18th Bit for Bits of Blender. This one is a whirlwind introduction to Logic Bricks and the game engine. I've begun teaching him about the game engine as a prepare a course for CartoonSmart.com. He couldn't resist having us show a little on it. One thing I noticed in the video is that the velocity for one of the objects is faster than the framerate of the capture software. The software was capturing at 15fps, the game engine was running at 60fps, and I'm not sure what the YouTube encoder does to the fps. As I begin work on my next CartoonSmart.com tutorial, I decided to give my boy (and co-host of Bits of Blender) a first taste of the Blender Game Engine. Even starting with the very basics, he had a blast. Making something from scratch move, applying physics, knocking things down, what fun! 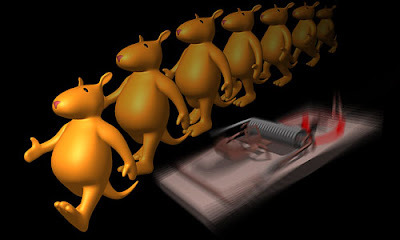 One of the things that is unique about Blender as a 3d modeling/animating/rendering package is that it also includes a game engine. In fact, if you ever accidentally hit the "P" key, you've experienced the game engine. Even more interesting is that there are two ways to program Blender games that work nicely in concert. One way, is visual using what Blender calls "Logic Bricks". The other way is textural, using the Python programming language. Blender has Python built in and even includes a text editor! Funny how I seem to get more excited over that than the game engine, but really I'm excited about both. The nice thing about the game engine is that it is useful for gaming but can also be useful for animation. How? Blender allows you to record what happens while the game engine is running. It records it onto the IPO curves of the objects. After getting Premiere Elements working again, I added three more Bits of Blender. I also wanted to say "thanks" to Jay Shaffer for coming up with the music intro to BoB! So yesterday I find that none of my CS3 apps will launch, nor will Premiere Elements. I spend 45 minutes on the phone with Adobe tech support to no avail. The recommendation: Uninstall then reinstall all Adobe apps. Only my Adobe apps are affected. Premiere Elements is not part of the CS3 suite yet it is affected. I asked the tech support person what the connection is between them and she said "none" except some system file who's permissions must have been changed by an outside program like Windows Live OneCare. I asked if she'd seen this problem before and she said "no". Which makes me wonder about the diagnosis. When did Adobe QA become so weak? This is not my first problem with their products. 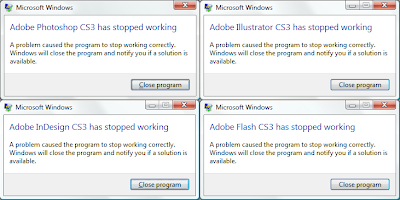 Sadly, there's no real market alternative to Flash or Illustrator. So I get to waste the last few hours of my vacation messing around with software that works one day then does not the next. So after taking the tech support person's advice, my Adobe products still don't work so I call back. I enter the case number she gave me and the recording says it is not a valid case number. When I eventually get a person, I ask if I got the case number correct. He says it is not closed and later says maybe the person's program crashed while entering it. He stays on the line with me for an 1.5 half trying everything he can think of. The last thing he has me working on he cuts me loose. He says if it fails, I'll have to re-install Windows Vista. I guess he didn't want to stay online if that were to happen (who can blame him?). But, after much anguish, it worked. After 3.5 stressful hours on a vacation day, I have all my Adobe products working again. But it is disturbing that a root cause was never discovered. What caused it? Will it happen again? Is uninstalling all apps via the CS3clean script the only way to solve it? (which, btw, had to be run more than once). I just launched a new YouTube series called Bits of Blender. It is a series of short tips on using Blender. I hope it will be useful as a video reference. It is a little more casual than my CartoonSmart videos and I'm doing them with my boy (who is a 9-year-old Blenderhead). They are short and too the point, I hope to create them on a regular basis to help with documenting Blender's features. Blender's got a bit of a learning curve, so I hope this helps. These videos are like a reference book and my CartoonSmart videos are more like a big tutorial, where you learn as you work on a project. Sometimes you only want/need a snippet of info. I saw this incredible deal from MicroCenter, a 1 TB hard drive for $199. 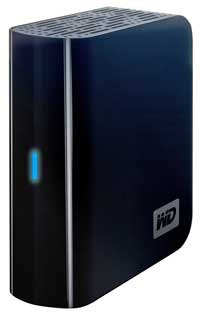 And then I thought about it... a TERAbyte for $199. A terabyte is a 1,000 gigabytes. I remember when me and my buddy, Mitch, bought a 1 GB hard drive for around $1,200 and we marveled at the size (both storage space and physical size). We soon learned we could fill that up, too. This is a 1,000 times the size in a smaller container. It's funny, just last week I was thinking similar thoughts when I ordered an 8 GB flash drive for $28. Eight GB for under $30, eight times the space of that old massive drive me and Mitch bought. My first computer, a Mac SE, had a 20 MB hard drive. This would hold 400 times the space of that Mac SE in the palm of my hand. 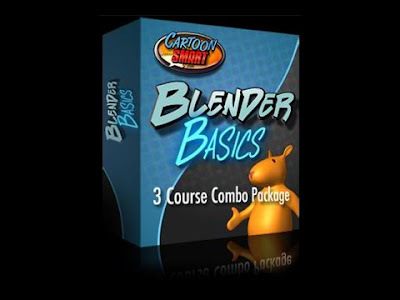 CartoonSmart.com is offer all three of my Blender videos, over 9 hours of training, as a package-deal for $40! This is a savings of $15. But if you do just need one, check out the 3d page for all the 3d courses at CartoonSmart.com. Blender Basics 3 - Animation! This is my third Blender course and it builds on the other two, but if you're already familiar with what the first two cover, you can jump right in to it. The models to work with are supplied, or if you went through the first two courses you can use your own versions of them. If you have not animated before in Blender, this is the video for you. It is over 3 hours long and is recorded in the same manner as the others, compressed using the H.264 codec at Best quality, Millions, 1024x768. The audio is AAC 44.100kHz. Just as we did for Blender Basics 1 & 2, CartoonSmart.com and I will be donating a percentage of the profits to the Blender Foundation to support further development of Blender.